← Why visit an in-network dentist? Summer may be ending but Minnesotan’s definitely have something to be excited about, The Minnesota State Fair! The Great Minnesota Get Together is the perfect way to finish up the summer before school starts and schedules start to fill back up. After you chow down an ear of corn at the corn stand and wash your buttery hands, you’ll most likely need some floss to help rid your smile of those pesky kernels. Follow these tips from American Dental Association to help you get the leftover foods out of your teeth. Brushing alone isn’t enough to remove plaque from the tooth surface. Flossing your teeth cleans the areas on the sides and between the teeth where the toothbrush cannot reach. If the plaque is not removed, the teeth become more susceptible to tooth decay. Use about 18 inches of floss, winding most of it around your index finger and the rest around the index finger of your other hand. This finger takes up the used floss. Gently guide about an inch of floss, using your thumb and index fingers, between your teeth. Hold floss tightly against the tooth and use a gentle up and down rubbing motion to clean between teeth. Gums can be bruised if floss “snapped” into place. At the gum line, curve floss into a C-Shape against sides of both teeth and move it up and down. Repeat for all teeth and the back of the last teeth. Please Note: Gum tissue may bleed and be sore for the first few days. Bleeding should stop once all of the bacteria are removed. 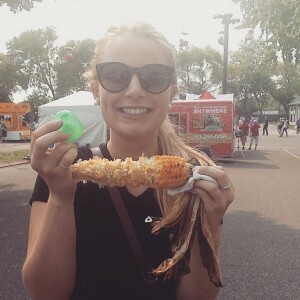 Find out what thousands of Minnesota Smiles are flossing about at the State Fair by visiting http://www.deltadentalmn.org/. 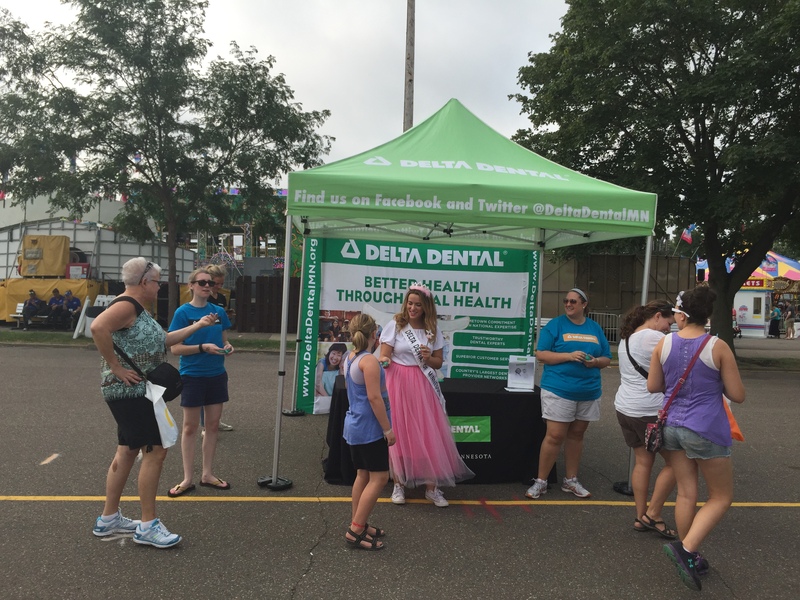 Delta Dental of Minnesota was out at the fair this year passing out floss. We hope you had a chance to stop by and pick some up, if not, we’ll see you next year!